Data Protection for ISO, BIN, DAA, NRG, etc? I know about .PAR and PAR2 files, and I know that Winrar has a checksum verification, but what about an imbedded option? Scratch that. Is there a way to keep an ISO an ISO and have a parity or repair file that can be used to restore it in case of data corruption, similar to PAR2? I'm not keen on extracting an iso everytime I want to use it in a Virtual Machine, for instance. Outside of the image would be best. Something accessible within the file system, but seperate from the image so as to keep the image itself fully untouched. I want to keep it non-compressed or "archived" into multi-part compression files. Basically, two files. One of the image, the other being the recovery file. Why not use PAR2? Or for that matter, just make a second copy of the ISO (compress this backup)? Well as I forgot to mention, PAR2 is great. 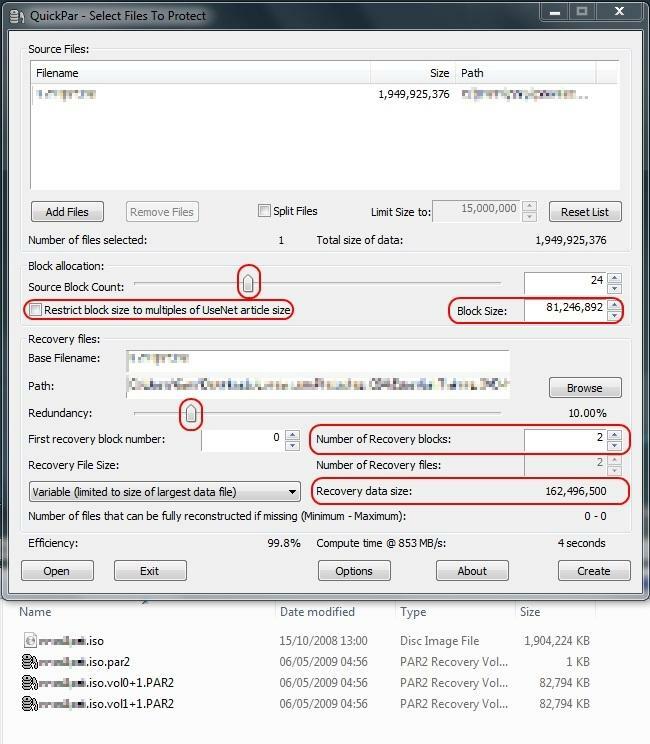 But is there a way to build one recovery file and not split into parts? I didn't see that in the options. Have a look at dvdisaster. It lets you create error correction files outside of and within ISO files. But is there a way to build one recovery file and not split into parts? I didn't see that in the options. There is, though it's not ideal and it may not work for every file. It's fine for smaller files with smaller recovery files but larger files say over a gb and you really should use more recovery files. 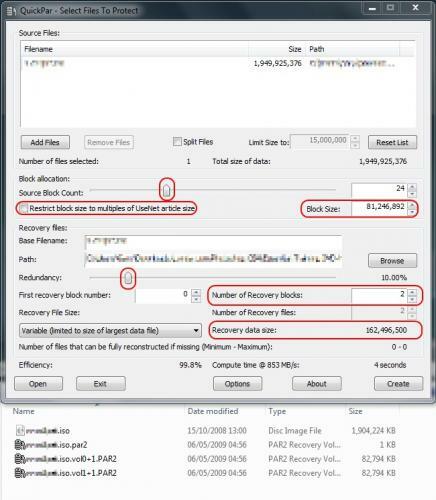 First set your "Redundancy", say 10%, then adjust the "Source Block Count" slider till you reduce the "Number of Recovery Blocks" to your target ammount. Personaly, I'd recommend using at least 2 recovery blocks, it seems to cause less problems when it comes to verifying. Awesome! I'll give that try when I get home! Thanks!